Since I don't have any tutorials ready for you guys just yet, I thought I would give you some tips and tricks for cosplaying on a budget. Thrift stores are your very best friend! I can't tell you how many times I've found great stuff at the thrift store. Now, what works best is finding clothing for outfits that are normalized, such as a character from The Walking Dead. But, that's not all! Check out the curtain and bed sheet sections. 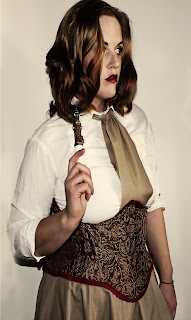 My 8th doctor corset was made from a curtain. 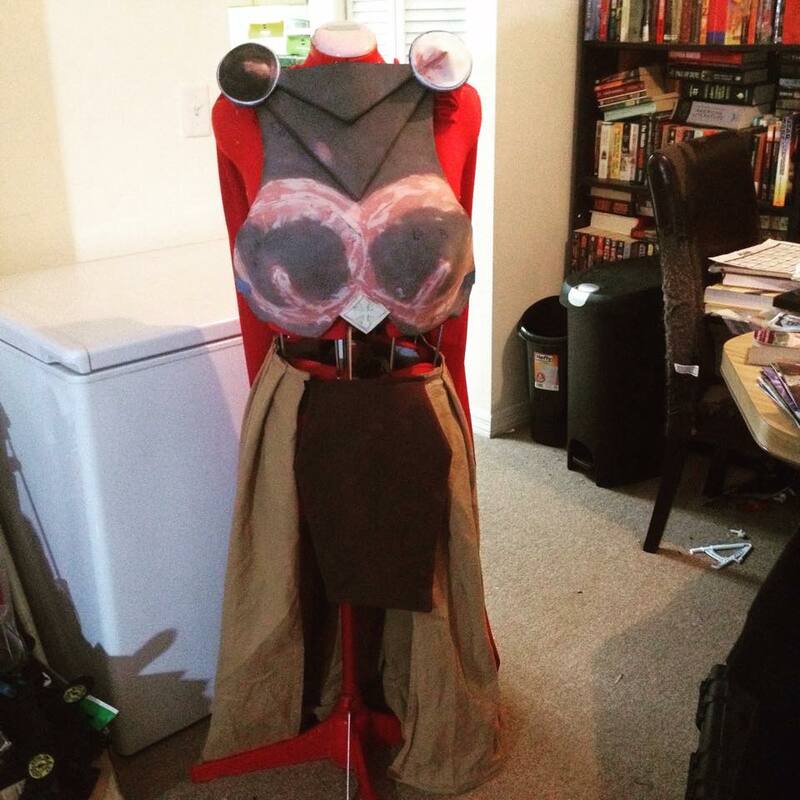 My Thor skirts (cosplay in progress) are made from sheets. Make sure you check out as many thrift stores as possible. I know all of my nearby thrift stores and which ones carry what I need most. There is one near me that has a sewing section, and I constantly find buttons, trims, and zippers there for 25 cents! 2. Coupons and sales, oh my! Make sure you keep up on what sales and coupons your local stores are running. Don't be afraid to go to the fabric store and pick out your favorite fabric, and only write it down, not buy it. Go back and buy it later, when you have a coupon or it's on sale. I never buy anything at full price. Make sure your always have an ample supply of muslin or scrap fabric (sheets from thrift stores work!). And use this material to make toiles (mock ups)! If you've never used a pattern before, or if you are drafting your own pattern, use cheap fabric first. That way if you mess up, your good fabric isn't ruined. It takes more time, but your fit will be better and you won't waste money if you mess up. A ruined bodice of $0.99 fabric is a lot easier to deal with than with $15 fabric. And speaking of muslin and toiles, I must touch on fit. Even if you use expensive fabric, if the cosplay fits you poorly, it won't look good. Make sure to take your time with the fit of your garment. If you have to use cheaper fabric, at least the outfit will fit perfectly. And people will notice that and appreciate your cosplay more.